I’m delighted to welcome you to my stop on the Crystal Kingdom blog tour organized by Pan Macmillan Australia. 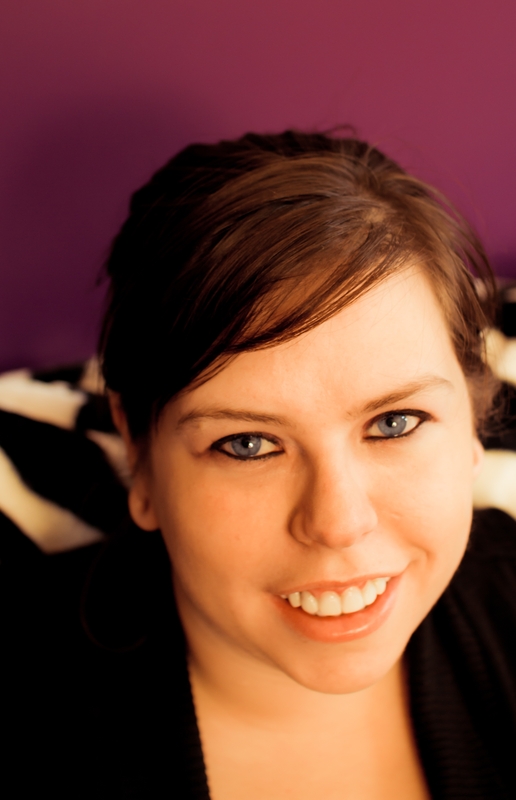 I was lucky enough to get to ask Amanda Hocking some questions to share with you all. And be sure to keep reading to read until the end of this post to see my review for the third and final instalment in the Kanin Chronicles, Crystal Kingdom. Hi Amanda and welcome to Fictional Thoughts. Readers of my blog know I adore your books – especially this series (I’m a huge fan of Bryn!). But for those who are unfamiliar with the Kanin Chronicles – how would you describe this series in ten words or less? There are so many books out there about vampires, shifters, witches and fairies – yet I’m not sure I’ve ever read books about trolls before. What was it about these underrated creatures which inspired you to write not just one but two trilogies about them? With the original series about the Trylle, it was that that weren’t common that drew me to then. I’ve always loved Scandinavia, and I was reading about their folklore and discovered a passage about trolls being magical and beautiful but ill-tempered and wild. So the Trylle trilogy grew out of that. But with Wendy being a changeling, I was limited by what she knew and what she saw. Her story only touched on the tip of iceberg, and only really showcased one of the five troll tribes. So I knew I wanted to come back and see the world from an insider’s eyes and explore the history of the trolls more. Bryn’s perspective and experiences are so much different from Wendy’s, because she grew up in this world. Bryn was constantly surprising me – she can dance, fight, speak multiple languages and handle herself in some fairly dire situations! Do you have a lot in common with Bryn? Did any of her talents ever surprise you when you were writing her story? I can’t dance or fight. I tried learning Swedish while I was writing the books, and I did learn some, but I’m no way close to fluent. So I don’t really think there’s a ton that I have in common with Bryn. Sometimes I feel like female leads get pigeonholed into either being a “girlie girl” who likes makeup and dresses, or a “tomboy” who likes fighting and climbing trees. But that’s ridiculous. It doesn’t have to be an either or. I wanted Bryn to feel comfortable in her own skin, whether she was wearing a ball gown or punching a bad guy in the face. Which character from the Kanin Chronicles was the most fun to write? Did any refuse to do what you wanted them to? The most surprisingly fun character for me was Queen Linnea. For some reason, I just really enjoyed her and her scenes, maybe because she’s optimistic and naïve. All the characters in this book stayed fairly true to the paths I laid out for them. You have written about so many different tribes of trolls (Kanin, Trylle, Skojare, Omte, Vitrra). Do you have a favourite amongst them? Which tribe do you think would be most fun to be a part of? Maybe the Trylle, because they’re the most modern and the least rigid social class system. The Kanin and the especially the Omte are patriarchies, which aren’t much fun for women. Crystal Kingdom is the final book in the Kanin Chronicles. Will it be hard to say goodbye to these characters? Will we see more stories about your Trolls in the future? Ending books is weird. I know a lot of writers express feeling sad or missing characters or the world as they get to the end, but for me, I’m mostly excited and relieved. I always feel this intense pressure to get the story out, like I will lose all the details and intricacies of the world if I don’t get it all immediately, so when it is all out and done, I’m just happy. I don’t have any immediate plans to return to the world of the trolls, but it is such an expansive world, and I’ve only focused on two tribes, so I definitely won’t rule out the possibility of revisiting them in the future. Has researching for your books ever lead you into any crazy/extreme situations? Not really. The most extreme thing I did was probably attempting to learn the Swedish language. I did do tons of research for the Kanin Chronicles, but most of it just involved a lot of reading. I also mapped out the entire lineage for the Kanin and Skojare kingdoms, going into unnecessary detail about the monarchies and relations between all the main characters. None of it really made it into the book because it was just be heavy exposition, and it took me a couple weeks to get it all done. I did a lot of world building for this series, and the book only hints at it. Are you able to tell us anything about your next writing project? My next book is called Freeks. It’s standalone YA paranormal romance novel set in the 1980s that follows a travelling sideshow. I pitched it as Pretty in Pink meets The Lost Boys (minus the vampires). It should be out sometime in 2016. Thank you so much for your time! Best of luck with Crystal Kingdom and the Kanin Chronicles! I hope enjoyed reading Amanda’s answers as much as I did. And I can’t wait to read Freeks when it’s released next year! And now for my review of Crystal Kingdom – the third and final book in the Kanin Chronicles trilogy! Bryn Aven has been exiled from her home, accused of horrible crimes and is now on the run for her life. Teamed up with an unlikely ally, Bryn and her new companion try to uncover just who is behind the problems the Kanin have been facing lately. As they travel the country looking for answers, they discover just how much danger their loved ones are in. Bryn must somehow defeat the mastermind behind the troll conflict before the world as they know it is destroyed. Crystal Kingdom is a stunning conclusion to the Kanin Chronicles. Bryn has come into her own as she tries to expose the evil destroying the Troll race. This is a book which will capture your attention on the first page and leave you hooked until long after you have finished. Action, drama, adventure and suspense – this book has it all. One of the highlights of this novel is how everything comes together. All the questions you may have asked in the previous two books are answered in a interesting and well thought out way. Everything falls into place in a way which makes sense yet not necessarily how you may have expected. Being a novel set during a war, there are sacrifices. The losses added to the suspense and whilst at times heartbreaking – they added to the sense of danger Bryn faced. Bryn discovers many things whilst on her quest to clear her name. Learning more about the Trolls as she travels was interesting. There are many new characters who shed light on the Kanin’s current situation as well as the troll-ish way of life. I loved learning more about the different tribes who co-exist in this world. The romance in Crystal Kingdom plays out beautifully. It is lovely and understated not taking over the story yet adding an extra something special to the overall story. Bryn’s softer side shows off when she interacts with her loved ones and shows there’s more to Bryn than just the kick-arse warrior we have gotten to know. I highly recommend the Kanin Chronicles to anyone who enjoys exciting stories about unusual supernatural beings. The characters are strong and interesting. There’s action and romance both coexisting comfortably together. The plot twists and turns yet feels authentic to the overall story. IF you enjoyed Amanda Hocking’s Trylle trilogy – I urge you to try the Kanin. You won’t be disappointed!